If you have ever flown then you’ve experienced the dreaded and unexpected shakes known as turbulence. And if you are the least bit anxious about flying, then chances are that turbulence is one of the most, if not the most, unnerving part of the flying experience for you. And being anxious about turbulence makes total sense. Because If you experience similar sensations in any other situations chances are something is terribly wrong. Imagine you're driving and all of a sudden you feel as if the car being violently thrown around unexpectedly. Or say you’re sitting on the couch at home watching TV and the ground starts shaking forcefully. In both cases, you could be in serious trouble. My point is - sudden shakes usually are a signal for catastrophy no matter where you are. And in a way, it would be odd if turbulence didn’t make you nervous. Turbulence in fact can be so traumatizing that by itself it can cause fear of flying. It is actually common for many people with no previous apprehensions about flying to develop serious anxiety of flying after being on a single flight with bad turbulence. That is exactly what happened to a good friend of mine. She was traveling in Thailand and was on a flight from Bangkok to the island of Koh Samui. Around halfway into her flight, the plane started experiencing heavy turbulence that lasted for a while. She described this as one of the scariest experiences of her life. “Even the flight attendants looked scared. People were screaming and throwing up. It was a mess,” she tells me. 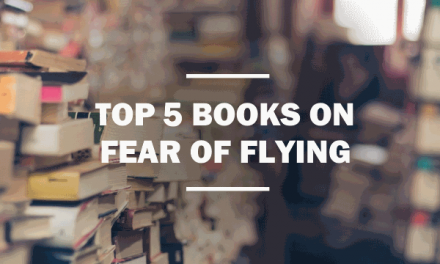 This experience caused her to have a serious fear of flying. 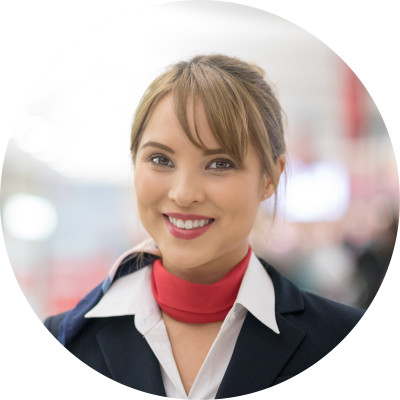 Every time she thinks about getting on a plane she imagines the turbulence she experienced. In her mind what a close call it was, and how lucky she was to escape in one piece. Personally, I’ve talked to, and have read about many similar accounts. Interestingly almost everyone shares the same thought patterns. This thought pattern can be summarized in a few sentence: During turbulence it feels like the plane is losing control and it's going to fall apart. I feel totally helpless and as if we’re going to crash. 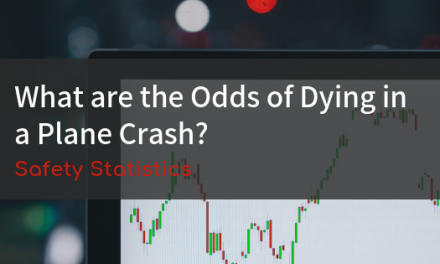 Now I’m sure that many of the people who share the same feelings as well as yourself, may have heard that turbulence doesn’t cause crashes. But somehow hearing that doesn't really help calm the nerves because a simple statement like that is just too vague, especially when it comes to countering our fear of death! What does help calm the nerves is getting the facts on turbulence. Once you have a better understanding of turbulence you’ll see exactly why you shouldn't be scared. In the sections below I'm going to give you a detailed overview of turbulence. Turbulence is the sudden and erratic change in altitude and tilt that an airplane experiences. What causes turbulence? In short: Changing weather conditions. 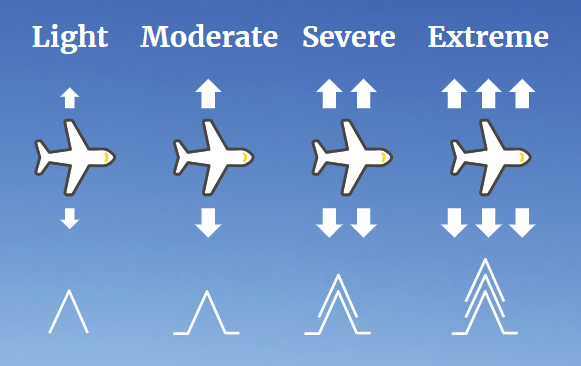 When planes travel through changing weather patterns, they are subjected to forces produced by these changes. These forces cause the bumps that you feel when you are on the plane. When flying at lower altitude, heavy winds can cause turbulence. This is why we tend to avoid taking off or landing in stormy conditions. 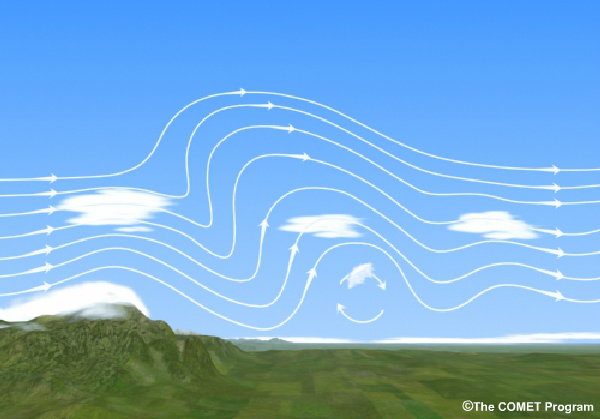 Winds can also cause turbulence in a different way at higher altitudes. When air currents blow over large mountains waves of varying pressure are created which result in turbulent conditions for planes passing through them. These waves can travel up to higher altitudes as well as travel forward to great distances effectively covering a large area. When the sun heats up the air near the earth’s surface, it rises up and can create an updraft (upward current of air). If this air is humid moisture begins to form resulting in the creation of clouds. But if the air is dry it will look clear and not be visible. In both cases, this movement of hot air causes turbulence, the except when there are no clouds it catches us by surprise. In the earth's atmosphere there exists “rivers” of fast and narrow air currents called jet streams. These currents can be beneficial in air travel if they're flowing in the same direction as the destination. Pilots can then use them to boost the speed of the plane and travel faster. However jet streams can suddenly change directions when they hit high or low-pressure areas. When this happens it can result in turbulence as the plane moves in or out of the jet stream. 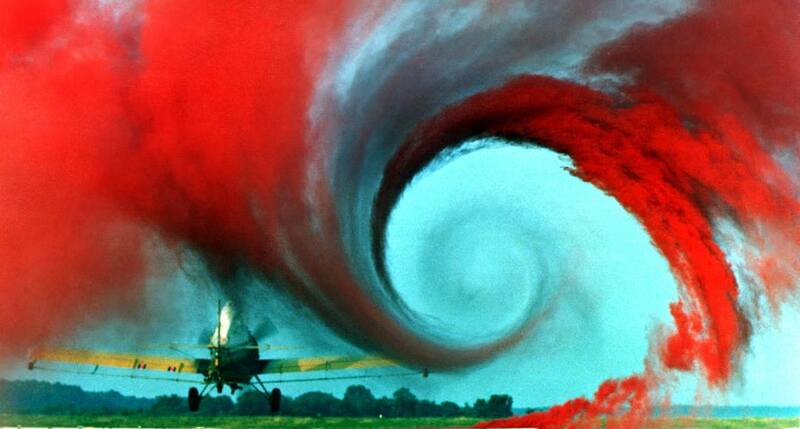 This type of turbulence is different in that it's caused by planes themselves. When planes take off and land, they leave behind a trail of fast-moving air that lingers for awhile. This wake can cause turbulence to smaller planes that move into that path. This effect is similar to when a small car gets passed by a larger truck on the highway and gets a little shake from the truck's tailwind. This is exactly why there needs to be a large time gap between the take-off and landing of airplanes using the same runway. How Intense can Turbulence Get? A very common question that I'm asked every time I talk to someone about turbulence is: How bad can it get? And it makes sense - If you're anxious about turbulence you want to know the worst case scenario. Light Loose objects in aircraft remain at rest. Very common. You can expect to experience it on every single flight. Moderate Unsecured objects are dislodged. Occupants feel definite strains against seat belts and shoulder straps. Less common. You can fly many times and not even experience it. Severe Occupants thrown violently against seat belts. Momentary loss of aircraft control. Unsecured objects tossed about. Very rare. On average only the most frequent flyers and usually experience severe turbulence. Extreme Aircraft is tossed violently about and is out of control. Extremely rare. Even the majority of commercial pilots don't experience turbulence of this intensity in their lifetime. If you're nervous about turbulence you're probably focusing on extreme turbulence and getting worried. But you shouldn't be because as you can see the odds that you will experience extreme turbulence is almost 0. 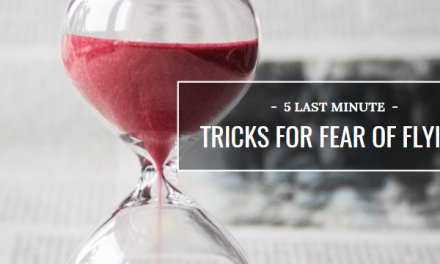 There's another way that this information can help calm your nerves. Next time you're on a plane if you happen to experience turbulence you can compare your experience against this chart. Chances are that no matter how intense it might feel, it's only moderate turbulence at worse, which is a completely normal and expected part of the flying experience. You might be wondering: with all of the technology available today why is it that we still have to deal with turbulence? Aviation technology, to a large extent, allows us to predict and thereby avoid turbulence. In the preparation phase of a flight advanced weather forecasts are used to understand the weather and predict where to expect turbulence. During the flight pilots use the weather forecast information, their radar, data from other planes and information from air traffic controls to get the latest update and avoid high turbulence areas. Pilots can also adjust the plane’s speed to minimize the effect of turbulence on the aircraft. But not all turbulence can be predicted. For example, clear-air turbulence (caused by thermal updraft of dry air) is very difficult to predict because it can't be seen visually or detected on the radar. In cases where turbulence is predicted, any adjustments to the route need to be approved by the control tower. Sometimes for a variety of reasons the request is rejected. It is in these instances the seatbelt sign goes on without much notice and passengers are asked to return to their seats and buckle up. To completely answer the question “is turbulence dangerous?” requires a look at the injuries that people can sustain by being thrown around in the airplane during turbulence. Can turbulence cause planes to crash? In fact, there have not been any commercial passenger plane accidents due to turbulence in the past 50 years. Year after year both the aviation technology and procedures have become safer to the point where turbulence is simply not a safety issue anymore. 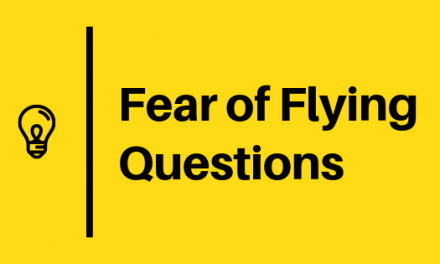 As a fearful flyer one of your main concerns might be that the plane will fall apart during turbulence by all the pressure and forces being placed on it. If you’re like me you may worry that one of the wings could break off causing a crash. The reality is that commercial planes are engineered to withstand conditions far worse than any possible scenario you could encounter during an actual flight. Take a look at these videos of planes being tested to withstand severe turbulence. See for yourself how drastically the wings can flex and bend without breaking. So going back to answer the earlier question...No, turbulence is not dangerous. It is a routine and normal part of flying. Turbulence is one of the scariest things about flying, but having an understanding of what it is and how it works can help you become more comfortable with it. Turbulence is caused by changing weather conditions such as wind, thermal currents, jet streams and wake from other aircrafts. The intensity of turbulence can vary greatly from light to extreme but the odds of severe turbulence is so low most of us will never run into it. Turbulence is uncomfortable but it does NOT cause planes to crash. Next time you're about to fly, remember that turbulence is a standard part of the flying, just buckle up and enjoy the ride!